A criminal case could be brought against Novosibirsk Judge Irina Glebova, who restored the parental rights of a drug addict, a move which resulted in the death of the man’s two-year-old daughter. 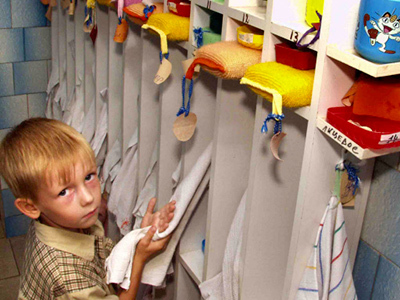 ­Eva Glotova resided in a foster home after her drug-addicted mother passed away last year. Her father, a long-time drug user and convict, was deprived of his parental rights. However, in March this year he decided he wanted his daughter returned home and Judge Irina Glebova for some reason ruled in his favor. Vladimir Markin, spokesperson for Russia’s Investigative Committee, says that an inspection established that on February 18th and March 5th, 2011, the judge presided over two court sessions that violated court procedures. “Following these sessions, the judge, Irina Glebova, on March 5th ruled to have the parenting rights of Vladimir Glotov restored. These rulings were unlawful by definition. Glotov’s daughter Eva, the subject of his parenting rights, had not even turned three at that time. On March 16th, 2011, a foster home was forced to turn Eva over to her drug addict father. Only two weeks later, Eva was brutally beaten by her father. Her death was caused by a stomach wound inflicted with a blunt object,” he said. Initially, Glotov claimed his daughter had choked to death, but examination proved that the girl died from injuries, reports Vesti FM. According to the Investigative Committee, Glotov acknowledged his guilt and explained that when Eva had refused to eat, he punched her stomach and then kicked her in the head. 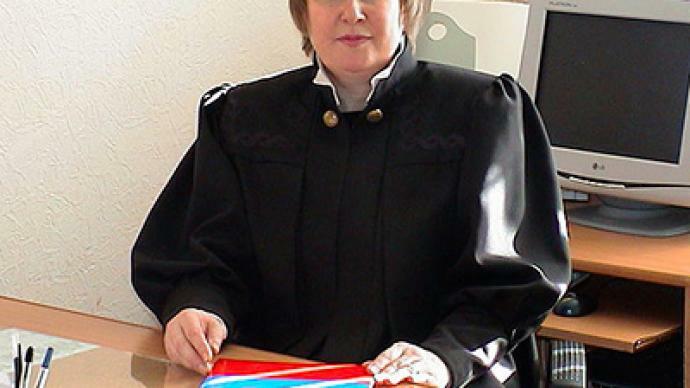 Judge Glebova was forced to return her judicial robes after she was dismissed in May from the Novosibirsk Kirov District Court over her decision to restore the parental rights in the Glotov case. However, disciplinary proceedings against this judge had been brought long before the death of Eva Glotova. Numerous complaints have previously been filed against Glebova. Back in March the Qualifying Board of Judges ruled on disciplinary actions against Glebova – if the slightest infringement was to be found in her work, she would lose her job. Unfortunately, that did not happen soon enough. Only on May 13 did the board make a decision to terminate her powers. If the Novosibirsk Region’s Collegiate of Judges satisfies the request of the Investigative Committee’s chairman, a criminal case will be opened against the judge.